Ryan always teases me because he says I move on "Amy Time". I want things done when I want them done and it is usually at lightning speed! But really, who doesn't want things accomplished in their time frame? 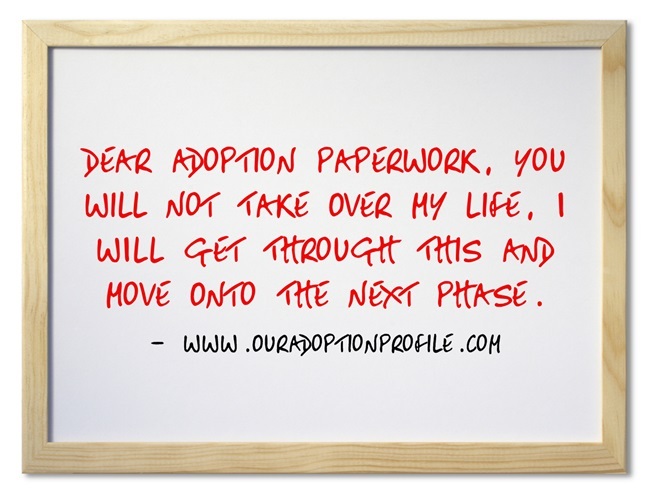 So dealing with adoption timelines are difficult for me- to say the least. Maybe that is why they give you lists of paperwork that have to be signed multiple times and notarized. It gives you something to do while you wait. I really can't complain about waiting on things at this point in the game though. (It's only been a week!) I'm just preparing for the future months! We were assigned a case worker after about 3 days of the agency receiving our application and deposit. I'm excited about this because she will be working with us to complete our home study. This is really what can take a huge bulk of time. 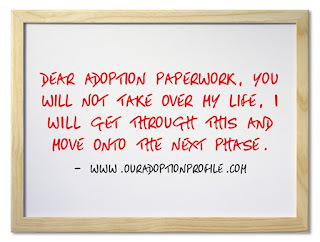 I have the check list in hand of what she will need to complete the paperwork so when we meet face to face for the first time, my hope is to hand it all over to her! I'm also excited about the case worker herself. Although I have not spoken to her, I know that she spent the summer in Uganda so she will be so very helpful to us when making our plans to travel to get our daughter! Sometimes it's those small pieces of the puzzle that you never expected to fit or were looking for that are the pivotal pieces! Get Ready for the Home Study!